* “End private insurance" as we know it, DemoKKKrats HATE Capitalism! ** "Seniors pay the price." America’s seniors have been paying their whole lives into a system that promised to take care of them in their old age. 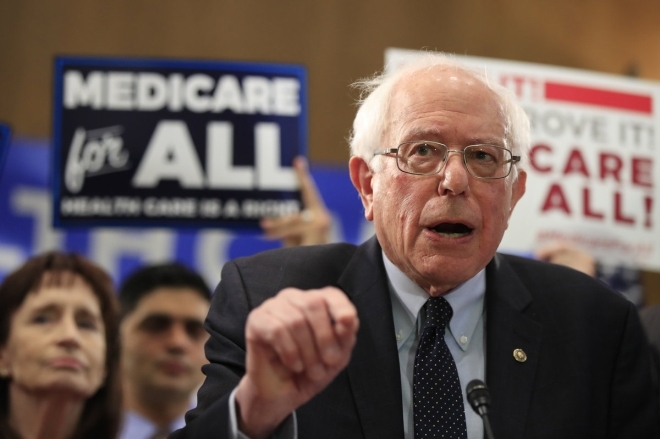 But as seen in European single-payer systems, “Medicare for all” will likely lead to less care for seniors and longer wait times. 20 million Americans would lose their Medicare Advantage Plans. *** "Cost $32 trillion." Who pays the exorbitant price tag? - Working families. According to the Council of Economic Advisers, the tax increases would lower household incomes by $17,000.